HP recently sent us its ZBook x2, billed as “the world’s most powerful detachable PC.” The 14-in. tablet, powered by an Intel Core i7 or i8 processor, fills a niche in the HP mobile workstation family, positioned between the affordable HP ZBook 14u and 15u ultra-books (DE, September 2015) and the no-compromise HP ZBook Studio (DE, September 2016). The ZBook x2 is meant to replace multiple devices—laptops and tablets—often used by creative professionals. HP claims its ZBook x2 is the world’s most powerful detachable PC. Image courtesy of HP. It joins the ranks of devices like the Microsoft Surface Pro, Apple iPad Pro and Wacom MobileStudio Pro. But the ZBook x2 supports up to twice the memory of any other detachable PC and when equipped with a discrete NVIDIA Quadro graphics processing unit (GPU) included in nearly all available configurations, it delivers 73% higher graphics performance compared to the Surface Pro, according to HP. Although you can use it in place of a notebook computer, the HP ZBook x2 is decidedly not a laptop. The tablet portion of the device measures 14.35x8.94x0.53-in. and weighs 3.84 lbs. The clipped corners of its CNC-milled aluminum and die-cast magnesium body give it an octagonal shape. Ventilation fins are arrayed along the top and side edges and an 8MP rear-facing camera is centered near the top edge. A hinged kickstand supports the tablet at angles from 10° to 165°, but it is so well hidden it was initially difficult to deploy. The front of the tablet is matte black, with a wide bezel surrounding the 4K (3840x2160) display. Six customizable quick keys flank the display on either side, while a pair of 2MP front-facing cameras is centered across the top. The tablet attaches to the keyboard portion using magnets and eight pogo pins. Although the spill-resistant keyboard provides 85 backlit keys and a 4.25x2.50-in. multi-touch touchpad, it adds less than ¼-in. additional thickness and weighs just 1.12 lbs., bringing the total weight to 4.96 lbs. Despite its shallow travel distance, the keyboard is excellent, providing a typing experience on par with full-size laptops. The small (5x2x1.12-in.) 90-watt power supply adds an additional 0.93 lbs. The ZBook x2 can be used in any of four modes. In laptop mode (with the keyboard attached), it serves as a powerful mobile workstation. In detached mode, you can work on the tablet while continuing to use the Bluetooth-enabled keyboard off to the side. In docked mode, with the optional HP ZBook Dock ($209), the HP ZBook x2 can power two additional 4K displays, or five total displays. Plus, of course, you can simply use it as a tablet. As such, it is considerably heavier than devices like the Surface Pro (which weighs just 1.75 lbs. without its keyboard). But as a tablet, the ZBook x2 continues to deliver its full graphic performance and battery life, because unlike the Surface Pro (which places the larger of its batteries in the detachable keyboard) the HP ZBook x2 packs nearly everything inside the tablet. In addition, when working in tablet mode, those buttons adjacent to the display replace keyboard shortcuts. For example, when working in Photoshop, you can press a button to display a color picker. HP includes presets for Adobe apps; you can also program the buttons yourself using a built-in app. The detachable tablet includes a hinged kickstand, an 8MP rear-facing camera and ample connections. Image courtesy of HP. The HP ZBook x2 also includes an excellent stylus based on Wacom EMR (electromagnetic resonance) technology. As such, it never needs charging, has a comfortable weight and provides 4,096 levels of pressure sensitivity, with multidirectional tilt capabilities, a single side button and a dedicated eraser. The x2 comes with two types of replaceable nibs; using the pen on the chemically etched matte display feels like drawing on paper. The left edge of the tablet provides a headphone/microphone combo jack, the power button, volume buttons and a security cable slot. The right edge includes a battery indicator light, AC power connector, two USB Type-C/Thunderbolt ports, an HDMI port, a USB 3.0 port, an SD memory card reader and an optional fingerprint reader. Those USB ports can be used to charge external devices, even when the system is off (when the tablet is connected to AC power). You can also use a Type-C port to charge the tablet. Slots along the top edge direct sound from the Bang & Olufsen speakers. The keyboard includes small LEDs on the caps lock, number lock keys and on the function key used to toggle the microphone. When detached, the keyboard pairs with the tablet via Bluetooth, with its own button for turning the keyboard on and off and a light to indicate the keyboard status. The keyboard charges whenever it is physically connected to the tablet (when the tablet is connected to AC power). It also has a micro USB port that can be used to power and charge the keyboard, and a smart card reader slot on the left edge. That reader only works when the keyboard is connected to the tablet. The slot also accepts a pen holder, although we would have preferred to have the pen magnetically attach to the bezel, as we saw on the Dell Canvas (DE, December 2017). Prices for the HP ZBook x2 start at $2,279 for a system based on a seventh-generation 2.7GHz Intel Core i7-7500U dual-core CPU, 8GB of memory, 128GB SATA SSD and a 4K backlit (non-DreamColor) touchscreen. 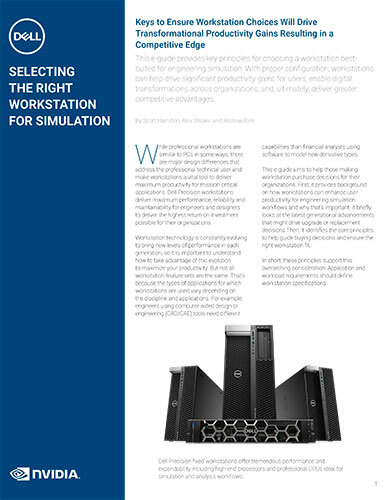 Although HP offers several preconfigured systems, you can also create your own custom configuration. The evaluation unit we received included an Intel Core i7-8650U quad-core CPU, which added $442. That 1.9GHz processor (4.2GHz max turbo) includes an 8MB cache and has a 15-watt thermal design power (TDP) rating. Several other “Kaby Lake” CPUs are also available. Although all include embedded Intel graphics, most ZBook x2 configurations also include a discrete NVIDIA Quadro M620 GPU with its own 2GB of dedicated memory and 512 compute unified device architecture (CUDA) cores. Our system also included an HP DreamColor display ($175), a 3840x2160 multitouch 10-bit panel capable of displaying 1 billion colors and calibrated to 100% of the Adobe RGB color gamut. Our system came with the maximum supported 32GB of DDR4 2133MHz memory, installed as two 16GB dual in-line memory modules (DIMMs), adding $585. HP also offers seven other internal storage options, including MLC (multi-level cell) and TLC (triple-level cell) solid-state drives. Our system included a 512GB Z Turbo Drive G2 MLC SSD ($432). The largest drive currently offered is a 1TB Z Turbo Drive at $708. The system we received was also equipped with the optional fingerprint reader ($25). All HP ZBook x2 units include Intel 8265 ac 2x2 wireless LAN plus Bluetooth 4.2. Although we always expect great performance from HP workstations, the detachable design of the HP ZBook x2 results in several compromises. For example, the four-cell 70Whr Li-ion polymer battery kept the system running for 5 hours, less than many other tablets and 6.5 hours shorter than the record-setting battery life of the HP ZBook 15 (DE, April 2018). Like the ZBook 15, the ZBook x2 supports HP Fast Charge, which charges the battery from 0 to 50% in just 30 minutes, after which charging slows down to preserve the life of the battery. The x2 also includes the self-healing HP Sure Start BIOS. Graphic performance also falls somewhat short of expectations. On the SPECviewperf test, the ZBook x2 performed well enough, but with a GPU considerably below the specs of other mobile workstations, its results placed it at the lower end of the performance spectrum. On the SOLIDWORKS 2015 benchmark, the ZBook x2 was also near the bottom of the pack, outperforming ultra books, but lagging most other mobile workstations. The results on the SPECwpc benchmark also placed the ZBook x2 in the bottom echelon among systems we’ve reviewed recently. But its average time of 78 seconds to complete our AutoCAD rendering test showed that the ZBook x2 is indeed a workstation-class device. Unlike many other tablets, the HP ZBook x2 has internal cooling fans, yet the device was practically silent during all our tests, barely ever reaching sound levels above ambient room noise. HP pre-installed Windows 10 Pro 64-bit. Windows 10 Home and FreeDOS 2.0 are also available. 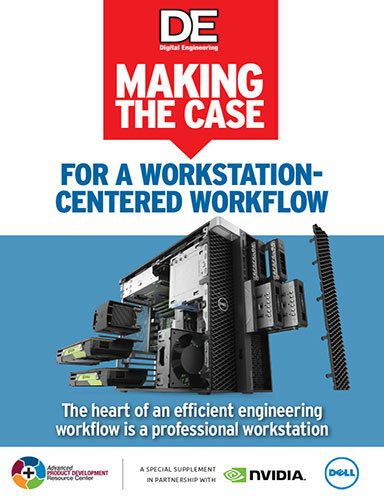 Like all other HP workstations, the ZBook x2 is independent software vendor (ISV) certified for most CAD and graphics applications. Although the base warranty only covers parts and labor for 1 year; the 3-year warranty included in our price adds only $121. As tested, our HP ZBook x2 costs $3,710, making it one of the more expensive mobile workstations we have tested and (as shown in the chart above) clearly not a price/performance leader. But this is a niche product, a specialized tool aimed at artists, designers and digital imaging professionals. There is currently no other system like it. For those looking for one device that can do everything, there’s a lot to like about the ZBook x2.